Looking "where to sell my Bugatti Type 46?" Ask the Chicago Car Club! Are you wondering "where to sell my Bugatti Type 46 ?" The Chicago Car Club is interested in classic cars of all makes and models, especially a Bugatti Type 46. We make the process of selling your Bugatti Type 46 quick and painless. In just a matter of hours we will have your classic valued and, if you do so choose, turned into money in your pocket. All it takes is a phone call or electronic inquiry to get the ball rolling. 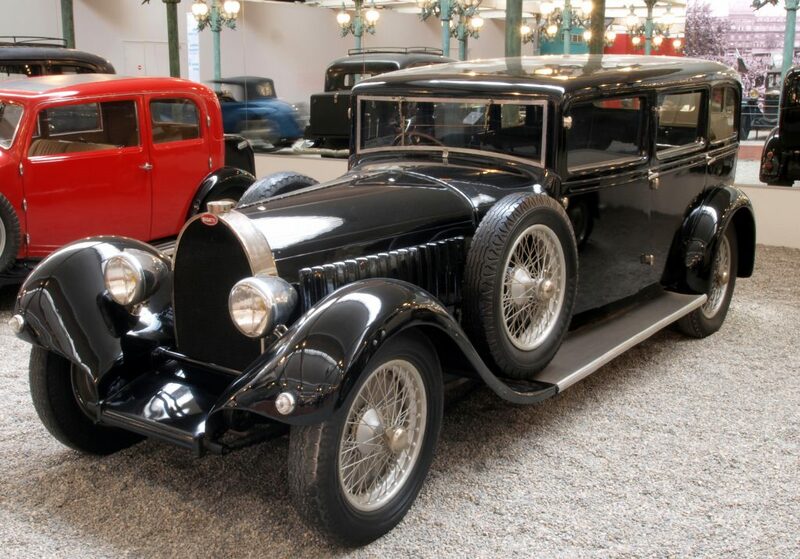 The Bugatti Type 46 had features and performance between the opulent Royale and 3-litre Type 44, the Type 46 was Bugatti’s standard luxury model. The Type 46S was a light supercharged version of the regularly aspirated Type 46. It was first launched at the 1929 Paris Motor Show and production began later that year. A large, one piece engine was the main feature of the Type 46. The cast made the whole engine contained within a perfect rectangle. The flywheel was had a special flexible mount which reduced vibrations in the cockpit. Main competition for the Type 46 came from the Delage D8, which sold better, but had much lower quality. Body styles for the Type 46 were diverse, but many used the same radiator and hood that came provided. One of the most distinct and dramatic bodies fitted to the Type 46 was the Semi-Profilee which used a raked windscreen and sweeping two tone paint job to great effect. The theme was continued on the Type 50 Coupe Profilee which featured a completely sloping fastback rear end. The engine was an Inline-8 with natural aspiration and a Five-Jet Smith-Barraquand Carburettor and a Supercharger. Displacement was 5360 cc / 327.1 cu in, with a bore of 81 mm / 3.19 in and a stroke of 130 mm / 5.12 in. It was a front engined rear wheel drive car with a 3-Speed Transaxle transmission. It had Rudge Wire Wheels. It got its stopping power from Cable Operated Drums.